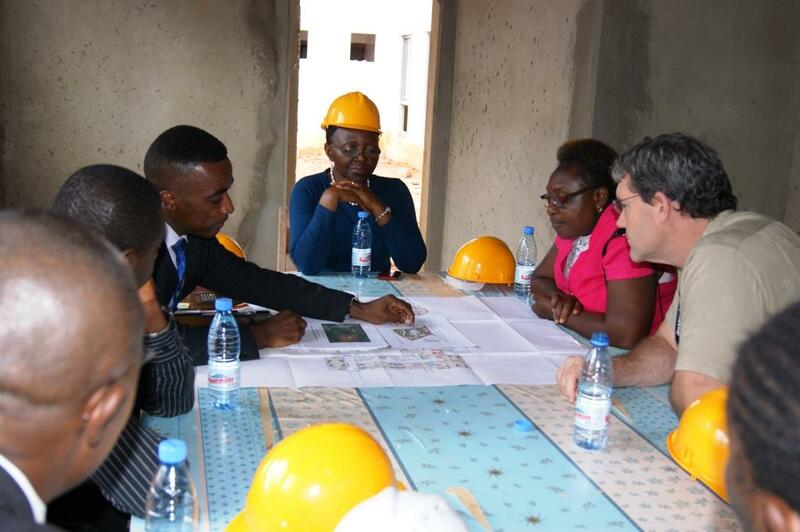 A delegation from the Health Unit of the US Embassy in Yaounde visited the construction site of the Magrabi ICO Cameroon Eye Institute on the 1st July 2015. 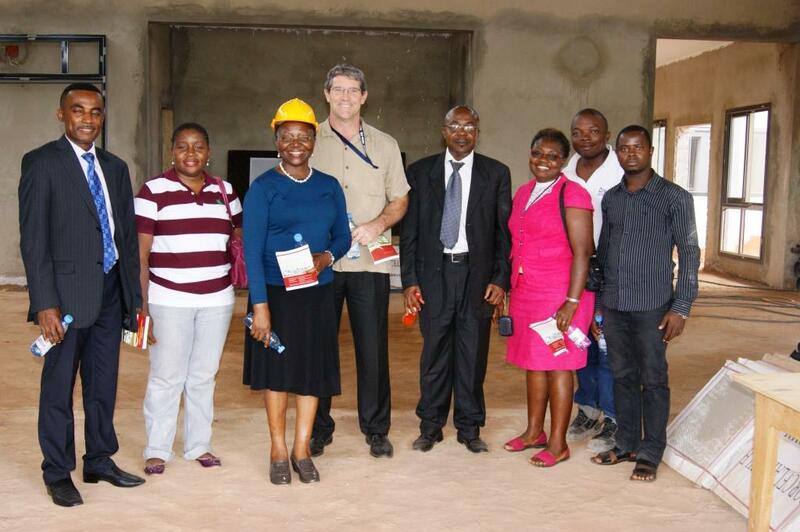 Health Unit of US Embassy and AEF Cameroon team. The head of the delegation, Mr James Fulton, Medical attaché, was impressed by the initiative and amount of work already done. Mr Fulton promised to share information on the project and invite MICEI to a forum gathering all actors in the health sector organised by the US Embassy in Yaounde. Africa Eye Foundation is working with a coalition of partners to improve access to world class eye care services in subspecialties such as retina and vitreous surgery, pediatric ophthalmology, oculoplastics, neuroophthalmology, cataract, glaucoma, cornea and refractive surgery in Cameroon and the entire Central African Subregion. This entry was posted in Uncategorized and tagged Africa Eye Foundation, cataract, Cornea, glaucoma, Health Unit, Magrabi ICO Cameroon Eye Institute, MICEI, neuroophthalmology, oculoplastics, Optical shop, retina, spectacles, US Embassy, Yaounde. Bookmark the permalink. 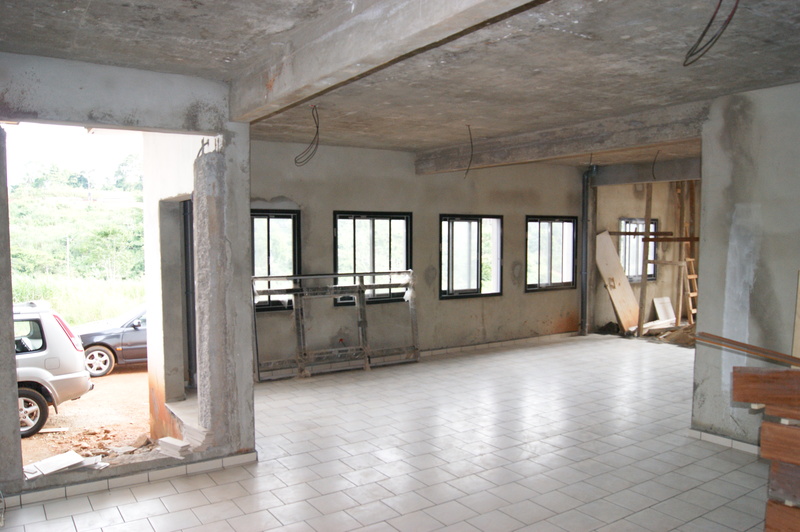 Thanks for all the informations you allow a lot of people to share about the Cameroon Eye Inetitute. the appeciation of US Embassy Medical Attache improve the idea i have abouth the project.